Lights... Camera... TEACH! 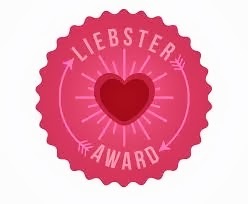 : I Got the Liebster Award!!! So excited to share with you that my humble little blog here was nominated for the Liebster Award! I was super excited when Melissa from Ramblings of a Happy Teacher told me about it. Thank you Melissa for the awesome nomination!!! So SWEET!!! 4. Nominate 5 more blogs with less than 200 followers. Thank you again sweet Melissa from Ramblings of a Happy Teacher for thinking my blog was special enough to receive this award. You made my day!!! 1)What is your ideal vacation? My ideal vacation would be going to Hawaii or the Bahamas (LOVE warm the water!!) and sitting with a nice book on the beach. Food would be all inclusive and my hubby and I would go on different excursions and get massages everyday! OR the mountains cuddled up on the couch with a good book with the fireplace going. Kids would be at their grandparents house. Sorry kids! 2)If you had an unlimited budget, what would you purchase for your classroom? A smart board, Ipads for all my students, a nice color printer, seat sacks, a beautiful rug, and home decor things. 3)What is your favorite way to de-stress after a long week? a massage and then hot tea and dessert on the couch with my honey watching a chick flick. My hubby loves chick flicks! Ha! 4)Tell us your most unforgettable student response/comment you've ever had. I was asked by one of my former 3rd grade students if I would go to the doctor with her since she started her period. So sweet of her to want me to be there! 5)What is your favorite season and why? Fall and then into winter. I LOVE the smell of fall and how it begins to get darker earlier. I love warm scented candles. Then I LOVE Christmas. I LOVE the hustle and bustle of it all! I love EVERYTHING about the season. In fact, it's hard for me to actually enjoy Christmas because I'm always sad that it's going to be over soon. LOL. 6)What is your favorite way to reward your class for excellent behavior? Show up at my students house with balloons. My kids love this and so do I!!! 8)When you have time to read for pleasure, what do you read? Blogs, books that challenge me and make me a better mommy, Christian, wife, etc. 9) Reality TV - yes or no? Yes. Loving my Duck Dynasty!!! 1. I worked as a carhop (rollerskating waitress) right before I got a job teaching. 2. I have a movie in my mind. I see everything as a movie. 4. I would have 7-8 kids if I could think I could handle it. 5. I love to dance and express myself through that. 6. I wish SO badly I could sing. 7. I used to be a Budweiser girl and a ring girl for boxing matches. 8. I've been to Africa on a mission trip and want to go back! 9. After this year I will have memorized 6 chapters of the bible! So exciting! 10. My husband is a pastor. 11. I am a bit OCD and will obsess over things I take on. It will consume my mind and I just get hyperfocused on things...which can be a good thing or a bad thing, depending on who you talk to. Ha! 2. What grades have you taught? 3. What website/blog do you go to for teaching inspiration? 4. Describe your ideal date. 7. What was one of the best lessons you've ever done in class? Love this!!! Congratulations! I loved learning a little bit more about you too! :) I might have to steal your balloon idea! ;) is that something you do for all your students or just some? Such a great idea!!! Hello Joy. The balloon idea is something that I do for all my students. I try and find something to celebrate with them about. For example, I had a student who did really well on her math test and so I showed up to her house with her test and balloons. I met her family and we took pictures of her family and her holding her test and the balloons. I just made sure that I sent a note home beforehand so that they know when I'm coming. Have fun with it!